Saturday, October 21, 2017, 3:59 a.m. – The Lord Jesus put in mind the song “Oh, To Be Like Thee.” Speak, Lord, your words to my heart. 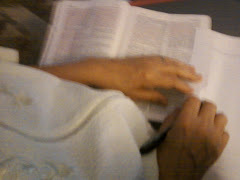 I read Psalm 40 (Select vv. NIV). If you were to give your testimony of God’s saving grace in your life, what would you say? How would you describe what Jesus Christ did for you? For all of us? What difference has he made in your life? Or, has he made a difference in your life? Is the only difference he has made in your life that you now have your sins forgiven and the assurance you are going to heaven when you die? Or, is there more to this salvation than that? And if so, what evidence of that exists in your life? In my life? What about our lives would cause others to “see and to fear the Lord and to put their trust in him”? Too many people today, at least here in America, profess to know Jesus Christ as Savior and Lord of their lives, but the evidence does not prove this to be true, for their lives are not much different at all from the people who make no profession of Christ as Savior. They do most all the same stuff, and watch the same sexually charged TV shows and movies, the same disgusting comedians, and the same raunchy commercials, etc. They also have the same attitudes, language, thinking, values, behaviors and morals, too. So, what should distinguish the life of a believer in Jesus from one who does not believe? It is that Jesus Christ lifted us out of that slimy pit, not that he just forgave us our sins so we could remain in the mud and mire, unmoved by the gospel of our salvation one iota. And, it is that he gave us a firm place to stand in him, and on our faith, and on his Word so that we would no longer sink down into that mud and slime, but so that we would walk in his truth and righteousness, free from slavery (addiction) to sin. In other words, Jesus died, not just to forgive us our sins and to promise us heaven when we leave this earth, but he died that we might die to sin and live to righteousness. When we believe in Jesus Christ, we are crucified with him in death to sin, and we are resurrected with him to newness of life, created to be like God in true righteousness and holiness. We no longer live our lives like we did before we met Jesus, for if we continue to walk according to our flesh, we don’t have the hope of heaven, but a fearful expectation of the fires of hell. But, if we walk in the light as He is in the light, and we walk according to the Spirit, and we are putting to death, by the Spirit, the misdeeds of the flesh, then we will live with God eternally. Another distinguishing mark of a believer in Jesus Christ is that he or she is not idolatrous. Our trust is in God alone, not in the things, philosophies, values and morals of our society. We don’t “immerse” ourselves in our culture in order to blend in with the people of the world so that they won’t think Christians are weird, or so we can relate to them, on their level. We don’t withhold the gospel from people so that they won’t be offended by the gospel message, either, or wait until we have known them for two years before we tell them about God’s saving grace. Also, we don’t take the attitude that Jesus/God does it all and that nothing is required of us, which is an entitlement mindset. We, instead, have the mindset that Jesus paid it all and, thus, all to him we owe. Our lives are no longer our own, to be lived how we want. And, we don’t give our passion, heart, time, energies, gifts, talents and commitments to the things of this world over and above or in place of giving our hearts, time, passion, desire, will, obedience, commitment, and allegiance to God and to his kingdom. Jesus Christ is quoted in the New Testament as saying this about himself in relation to God the Father (See: Heb. 10:5-10). So, what is the message here? It is that, although the law did require physical sacrifices and offerings, God did not desire them to be given independent of true obedience and heart surrender to his will. In other words, God is not interested in us going through the motions of religious exercise, especially if our hearts are not surrendered to him and to his service. He is not pleased with mere formalities and externals. He wants our all on the altar (See: Ro. 12:1-2). So, we can go to regular church services, put our money in the offering plate, serve in ministry positions within the organized church gatherings, and help the poor and needy, etc., and still not be in a right relationship with God and be pleasing to him. What he desires is that we spend time listening to him every day, and that we follow that in obedience to what he shows us. He is looking for hearts committed to him and to his service (to his will), choosing his choices, and not our own. Jesus bought us back for God with his shed blood, so our lives are no longer to be our own, but Jesus is to be our only Lord (owner-master) and us his bondservants. Another distinguishing mark of a true believer in Jesus Christ is that he or she is not ashamed of the gospel of Jesus Christ or of Christ himself, but that he or she will talk with others willingly about his or her faith. And, we will do so out of a heart of passion for God and his gospel message, and out of a heart of compassion for the people of this world (or of the worldly church) who are still bound in their sins without hope of eternity with God. We will actively be sharing our faith and testimonies and the truth of the gospel of our salvation so that many will hear and will be saved from their sins, or be revived, and be transformed of the Spirit of God in mind, heart, and in lifestyle, so they will know God and have eternal life with him in glory.